What is cognitive development? Cognitive development is a field of study in neuroscience and psychology focusing on a child's development in terms of information processing, conceptual resources, perceptual skill, language learning, and other aspects of brain development and cognitive psychology compared to an adult's point of view. In other words, cognitive development is the emergence of the ability to think and understand. Research shows that creating a meaningful, effective brain training program for any given user requires personalizing the training regimen to the user's needs. The technological challenge of personalization lies in the ability to capture the user's unique cognitive profile. 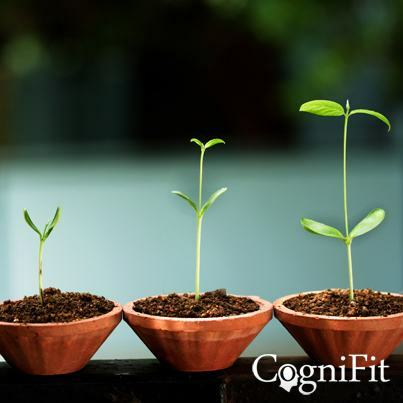 The breakthrough technology developed and patented by CogniFit automates the assessment of one's cognitive profile and builds a matching brain training program that is optimized to fit that profile. The award winning range of CogniFit brain training products is powered by these core technologies, Cognitive Assessment and ITS™ (Individualized Training System). CogniFit Brain Fitness developed the Cognitive Assessment technology to objectively establish the user's unique cognitive profile before the training begins in order to achieve an optimal cerebral and mental health. An assessment ranks each user's cognitive skills, such as memory, from strongest to weakest and determines the relative weight of each skill. While some users have an idea about the cognitive skills they want to improve, their perception is necessarily subjective. Given a choice, users tend to prefer working on skills that are easier for them. Other users may have no idea at all. By using objective scientific analysis, the Cognitive Assessment relieves the user from the need to struggle with understanding a long list of cognitive skills or guessing their skill level by trial and error. Instead, it can automate the selection of an optimal training program, tailored to give the user maximum mind training effectiveness from the very beginning. ITS™ (Individualized Training System) is a patented, technologically advanced real-time application that manages each user's training experience. Using sophisticated algorithms on data provided by the assessment, ITS™ configures an individualized training program with an optimal balance of tasks and levels of difficulty to match the user's cognitive profile and ensures cognitive development. Ongoing, ITS™ ensures maximum training effectiveness by continually monitoring the user's performance and adjusting the tasks in real time. ITS™ features bi-directional fine tuning of the level of challenge making it more difficult or easier based on the user's current performance. One of the factors used by the Cognitive Assessment in determining the user's cognitive profile is a comparison to the performance of their demographic peers, as identified by variables such as age and gender. Scientifically empowering the objectivity of the assessment is the vast CogniFit database which contains information gathered from a diverse base of users. This body of information is shared by all CogniFit brain fitness products which are able to draw statistical data from it to create meaningful feedback and analysis for every user.